Attending university is a ton of fun, but it also prepares you for the next stage in your career. Even your hobbies can be advantages in your career development if you pursue them at a high level. 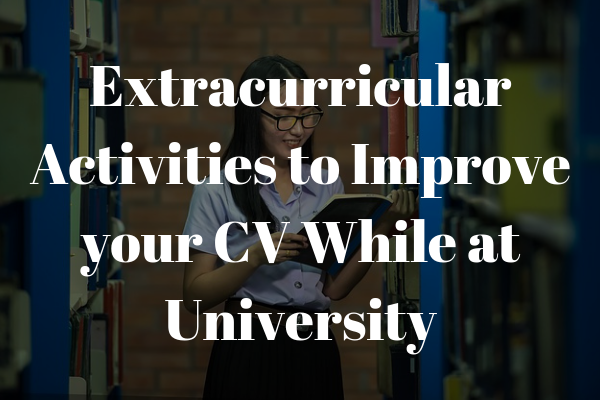 Everything you do at university can be added to your CV in order to help you get a job in the future, and universities are great places to take part in extracurricular activities. And remember, not only will these help you practically after you've finished your degree and are moving on to working or further education, but they'll also make your stay at university more enjoyable, enabling you to meet friends, develop intellectually and stay fit. Joining the debate team will give you the chance to practice your oral presentation, argumentation, and critical thinking skills – all of which will be a big asset to you in any job search. It's also a great way to practice your public speaking, which is something that makes many people nervous. It's a helpful advantage in job interviews to be able to express your ideas with verbal fluency. Communication is one of the most important soft skills to have, useful in all aspects of life, from giving presentations on your thesis to asking for a pay rise at work. It'll help you with all other soft skills needed to be successful: leadership, networking, delegation, and others. Almost every university will have some kind of students' union or student council which you could join. Doing so shows future employers that you are responsible and engaged with political and practical issues. It also gives you the chance to make real changes to the way that your university is run. The students' union is a place of politics, debate, and change. It's where you can go to voice your opinions and effect real change on your student life. Most if not all students' unions are generally affiliated with a bigger union - such as the National Union of Students in the United Kingdom - which strives to maintain the rights of students and influences how universities are organised and run. Being a part of the students' union shows, again, that you have solid opinions on political and practical issues, and aren't afraid to voice them and fight for them. It implies you can speak your mind well in public, but also that you have a level of emotional empathy that enables you to listen to and appreciate - or at least respect - other points of view, even when they stand in direct contradiction with your own. Editing video, troubleshooting audiovisual problems in presentations, engineering and producing audio: these are excellent skills to have that can help you in many areas of life. What with students' union television societies and music clubs abounding on campus, there will be plenty of opportunities for you to harness and improve these skills, meet new people who can become useful contacts in the future, and of course, have something to put on your CV. Of course, you could put these skills on your CV anyway to show potential employers, but having concrete examples of when you've used them to help people is always a bonus. Moreover, if you have a collection of projects you've worked on, collecting them together can be great start on a portfolio if this is the type of work you'd like to do in the future. It's always good to set up a website which lists - with the recordings if possible - each of the times you've worked as the audio engineer on a project, or helped somebody edit something, particularly if they become successful. Volunteering for a charity can be a rewarding experience which can help you grow a lot as a person. It can also be good for your career prospects, especially if you prove your ability in certain areas. If you want to work in a non-profit after university, then the ability to bring in funding is a big requirement of many jobs. Showing that you've already been successful at fundraising while you were at university can put you at the head of the pack. Moreover, charity fundraising can often give you the opportunity to travel. Plenty of charities to work around the country and in other nations around the world. Travelling is one of the most rewarding things you can do, and employers like to see that their potential employees are well-rounded and have some life experience, which includes getting to know other cultures. This can show that you're emotionally intelligent and tolerant, two essential skills to have in an ever more diverse workplace. Aside from this, charity work is simply a noble thing to do. Not only are you giving something back to the world from your relatively privileged position, it'll also make you feel good about yourself - selfish, perhaps, but something important for your health and wellbeing. Aside from these benefits, though, sports are a great way to meet new mates who could become lifelong friends, improve your teamwork and social skills, and of course, stay fit. While being poor at university and potentially eating lots of fast food (not to mention drinking lots of beer), it might be possible that you don't do quite as much exercise to stay healthy as you'd like; a regular meeting of a sports team can mitigate this. Best of all, from a career point of view, if you are head of a team and organising matches, you have already demonstrated your ability to lead a group which is a great skill for a young person to have on their CV. Just make sure you stay away from those hazing rituals. Student newspapers are great places to learn writing and editing skills, and to get used to a fast pace of work with tight deadlines. There are usually multiple areas of the newspaper you can work on, including design, editorial, and of course, writing and journalism. Many have both local news, political reports, and comment sections that deal with more sensitive issues which give students an opportunity to voice their opinion. Even if you just write a few times rather than having a set role at the paper, it means you'll slowly build your portfolio, have some stuff to put on your CV - and of course, seeing your name in print is always a wonderful feeling. Some university papers may even pay for your work. Moreover, the paper may not be the only literature the university publishes. Many have an academic journal, either published by the university or student-led, which will publish academic articles on various topics. Moreover, student magazines that deal with lifestyle and more casual university topics may also exist, in which people write about their experiences living at university and other related youth topics. Finally, literary magazines can be a good place for the aspiring writer to start, which are generally student-edited and publish much of the best prose and poetry from students and alumni alike. All of these things can make valuable additions to your CV. Really, this should be top of the list; learning a language is one of the most productive things you can do, and not just because of the benefits it brings, those being the fact that you can work in an international company and be an extremely valuable asset to them, as well as moving into various areas such as international politics, diplomacy, and translation, all of which are lucrative and rewarding careers. 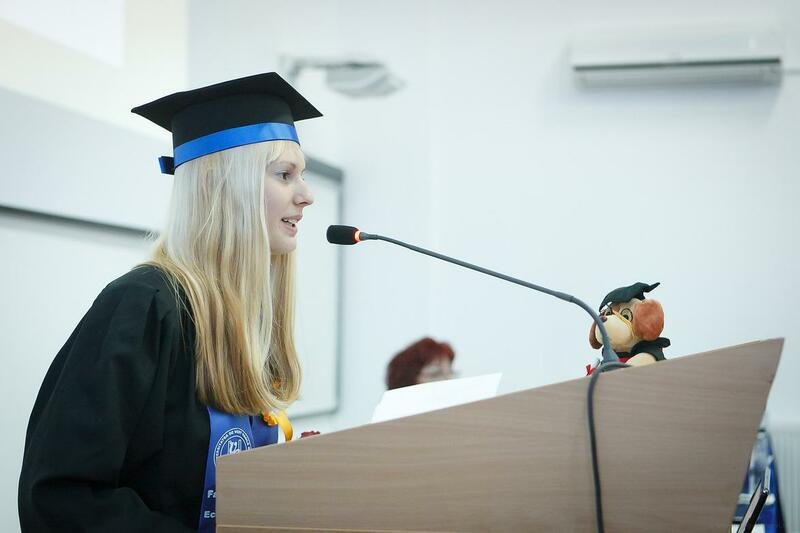 It also means if you ever decide you want to live abroad, you have a head start; not only could you live, for example, Germany, if you already knew German, but many people report learning a third language easier once they have already learned a second. Reports have also come out that suggest one of the best favours you can do for your brain, except reading lots of books, is learning a new language, some studies suggesting it can even help prevent Alzheimer's. University is a great place to learn a new language. Not only do plenty of universities have language courses that students can attend for free, many also offer programs such as Rosetta Stone for their students either at a decreased cost or totally free. Many universities' language courses are of a high standard - as one would expect - and as they are generally diverse, multicultural environments, there are plenty of opportunities to practise with other students through tandem partners. Language learning, number 7 but really number 1, is one of the best things you can have in your arsenal to put on your CV. For the really ambitious student, why not get a head start on your business ambitions and start your own business? You'll be in an environment with plenty of time and resources to develop your own ideas. Often, universities have entrepreneur challenges where students pit their ideas against one another in order to win a certain pool of money which can help them get the idea off the ground. They also often offer advice and support for students who have business ideas, and of course, you'll always have the opportunity to befriend a business professor to tutor you. Whether or not your business is successful, you'll learn a huge amount from starting a business before your peers have even got a foot into the workplace. Plus, it's a clear demonstration of your independence and self-motivation which employers will appreciate. There are so many jobs in which software knowledge or basic coding skills will make you invaluable, and in our modern, tech-focused world, these skills are becoming more valuable than ever. Universities may offer coding courses for students for free or at a reduced rate, especially as there is a pressure to equip students with these skills which have already become essential in the job market. If you use these skills to build something while you're at university, it can again be a good addition to your portfolio. Even if you're not studying computer science and you don't know much about IT, you can still pick it up; it's also similar to learning another language, and very good for your health. One good place to start is with HTML and basic web design, which is very simple to pick up and which impresses employers in all sorts of fields. Looking for a graduate program at the moment to continue your studies? Check out our program listings.